At the end of your interview you will be given the opportunity to ask your interviewer any questions you may have. At this point, you are assessing the interviewer as much as they are assessing you. Some candidates have the impression that asking a direct question will make them appear impertinent. That’s unlikely – what’s more likely is that the interviewer will question your interest in the role if you have no questions to ask when prompted. Try not to ask more than three questions, though, unless you really are lacking crucial information. Also, aim for questions that are less obvious, and related to aspects of the position and company in which you have most interest. Don’t go on and on; there are probably other candidates still waiting outside waiting for their turn to be interviewed. Also, try to ask your questions while still seated. If you ask them as you get up or are shown out, it could come across as a sign of nervousness or lack of confidence. Have two or three interesting and intelligent questions prepared before the interview, to show that you are interested in the job and eager to find out more about their culture, workplace, etc. If all your prepared questions are answered during the interview itself and you are unable to think of any more, explain what you had planned to ask, and that you have already been given the answers. Having questions prepared demonstrates that you were willing to research the company and role, plus it allows you to find out in advance how likely you are to fit the position and organisation. For example, you might come across some negative employee reviews as part of your research, which spur you to ask some direct questions in the interview to find out their response to that criticism. One advantage of preparing these questions beforehand (and it should be done whether your interview is by phone, video or face-to-face) is that it makes you less likely to be caught off-guard by a question in the interview itself. And it allows you to ask questions that demonstrate aspects of your personality or skills that you feel weren’t drawn out previously. Here are a few tips to help you ask sensible questions that create an opportunity for dialogue between you and the interviewer. Avoid questions that revolve around how you stand to benefit from taking that job. Questions about salary, medical cover, flexi-time and so forth can be saved for negotiating if an offer comes. On the other hand, asking about work culture and daily routines shows that you are thinking about your situation, but also thinking about what it might be like to work at that company. Often, when you are trying to be polite and politically correct, you can end up answering part of your question as you ask it. Keep your questions concise and specific. Do not enter into explanations while asking the question, which may come across as rambling or indecisive. When preparing your questions, focus on the ‘WH’ questions (what, why, which, when, where, who, etc). The WH questions will always require a long answer. Avoid any questions that your interviewer can answer abruptly. Knowing which questions to avoid is just as important as knowing which questions to ask. You have to keep in mind that a wrong question can immediately compel your interviewer to form a negative opinion about you. Do I have to do overtime? And will you guys pay me for my extra hours of work? How many hours do you expect me to work every day? How many smoking breaks can I take each day? And don’t send your interviewer an invite to connect with you on social media. 1. What happens during the graduate training scheme? This shows your interest in what the company is going to offer as part of the training. 2. Will there be opportunities to do external training courses? Again, it shows your interest in the job and further learning. The answer will also give a clear indication of the scope for development opportunities while working for the company. 3. Can I shadow an employee or get a mentor? Those keen to learn fast will want to do this. Graduate training programmes aim to be comprehensive, but an individual coach will give you greater insight into that career. 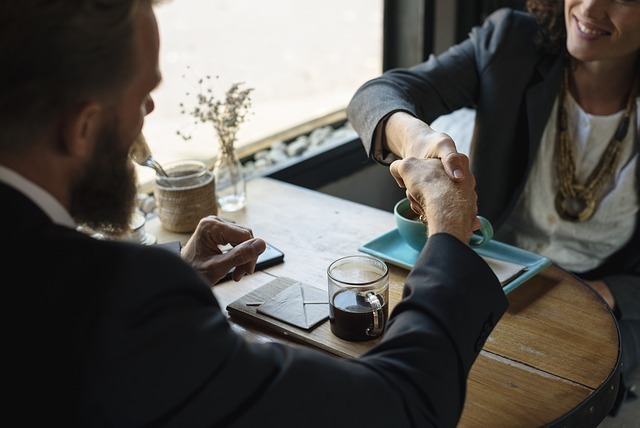 Asking this sends strong signals to the interviewer that you are a team player, since if you are ready to accept someone as your mentor, you are ready to learn from others. 1. What is the turnover of graduates in this company? Understanding how long the average graduate stays gives you a pretty good indication as to how long you might stay. Plus, how your interviewer answers this question gives you some ideas to the company’s honesty and transparency. 2. How would you describe the working culture in this company? You are seeking to understand if you’ll fit within the workplace and enjoy working there. Listen carefully; think if you you are being provided with a truthful answer. 3. Does the company organise social events? A good company cares about the health and camaraderie of its employees, and thinks about activities outside of work. 4. What is your personal experience of working for this company? As the interviewer answers this question, try to focus on the factors that they stress while describing their experience. Supportive staff, friendly management, opportunities for growth, etc. are attractive aspects. 5. What are the biggest challenges being faced by the company? You are just looking for a truthful answer here; one that will help you decide whether or not you should say yes to the offer. 1. Do you think I am someone who would fit into this company? This is a pretty straightforward question but you can never predict the results of your interview right then and there. However, it does send a good impression to your interviewer that you are interested in getting the job. 2. From what you have seen today, is there anything you think I could have improved upon, or any reason why you think I am not suitable for this role? It is another straightforward question and it would be perfect if the interviewer is ready to give you some advice. You may get a chance to ease their mind on an area where they are unsure about you. 3. What qualities do you think would help me excel in this position? Asking this question will show the interviewer your interest, and may give you clues as to how to outperform in the role, if you are offered it. 4. Is there anything more that you would want me to clarify about my experience, qualification or personality? Sometimes, interviewers are confused about your qualifications, experience or previous answers, but forget to look for clarification. This question represents a chance to remove that confusion. 1. Can you explain the daily responsibilities of this role? They often mention the daily responsibilities in the job ad, but hearing from someone who works at the company can help you discover those responsibilities in more detail. 2. What expectations do you have from someone in this role in the first three months? Knowing what your employer expects from you will help you have a more focused strategy at the job. It will show which areas you need to improve fastest. 3. What specific challenges are associated with this role? This is one of the best questions you can ask about the role. Once you know the major challenges, you can create a plan to work on those once you begin the job. 4. What one piece of advice would you give to someone who is about to start in this role? This is your chance to get the best and most practical advice in advance. Their answer might even clarify what not to do, should you get the position. 5. What factors and metrics will you use to measure my success in this role? It isn’t uncommon for employees to try to impress their employers with things that don’t matter much. An answer to this question will clarify the metrics that you should pay attention to for getting noticed, appreciated and promoted. It is imperative to keep in mind when you go for an interview that it’s not just the employer evaluating the employee but also vice versa. An employee-to-employer relationship will not work if the employee doesn’t feel they fit, or if the employer doesn’t believe the employee is a good candidate. Asking your interviewer questions at the end also has a psychological impact. Interviewers often speak to dozens of candidates, and it can be difficult to remember individuals. An insightful question or two at the end of the interview may leave a lasting impression, as well as suggest that you’re keen to get hired.